Today's MWMM is a major throwback. We're talking 2006 my friends. Remember when Lily Allen came out with "Smile" and "LDN" and we loved them for a minute but then they got overplayed? I know I do. Anyway, I never really devoted myself to her entire album, Alright Still, and consequently missed this gem - that I now have in heavy rotation. I can't even remember where I was, but I heard this song when I was out and about and grabbed it with my Shazaam app on my iPhone. I'm not sure why I like it so much right now, but the reggae-esque feel is soothing and I think I've missed Lily's trilling voice. This is "Friend of Mine." Ah, Lily, what's not to love?! Thanks for this throwback! 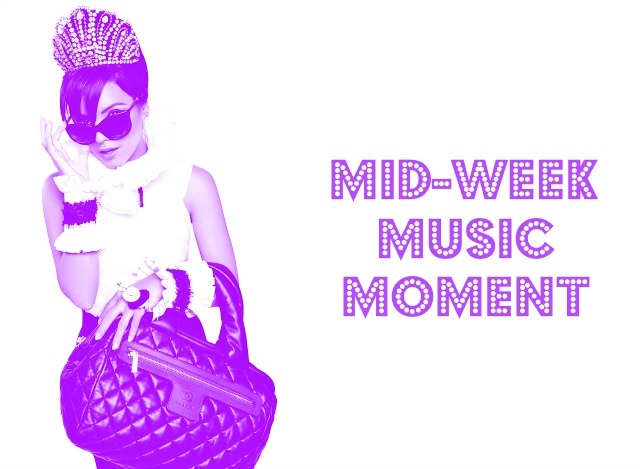 I recently found your blog and I LOVE the mid-week music moments you put out there! Been loving on Kendrick for about a month, more people need to give him a listen!